Yesterday I blogged (READ IT HERE) about the new Star Trek movie, Star Trek Into Darkness. Today, though, I am ruminating about the other films in the franchise and where I rank them in order of excellence. 1. Star Trek II The Wrath of Khan–without a doubt this is the best. It ranks in my top five science fiction movies of all time. 2. Star Trek: First Contact--Aesthetics, plot, acting, and the f/x were all superior in this film. It was for everyone, but included something for the fan as well. 3. Star Trek (2009)–I know most would put this as the first one, and it certainly made more money than any of the others, but there were too many plot holes in it for me to push it any further up the list. 4. Star Trek IV: The Voyage Home–Of Course, the voyage home is not to earth with the whales, but the voyage is back to the rebuilt Enterprise at the end of the movie. 5. Star Trek Generations: This film gets panned a lot because of the plot holes and time-travel nexus problems (which are no worse than Star Trek (2009) by the way) but this is the best thematic film of the lot in terms of emotional energy and morality. My oldest daughter was an infant, 4 weeks old when we saw this movie in the theater. She graduates from high school in three weeks. Generations means something more now. 6. Star Trek VI: The Undiscovered Country–Kirk and crew have a great idea to work with, but the elements feel rehashed. How many female Vulcans does Spock need to train? However, I do love the Hamlet references. 7. Star Trek Insurrection–I do not like this movie very much, but I do not hate it very much either. It feels like an elongated episode. 8. Star Trek III: The Search for Spock–Stupid plot, poor f/x and needless emotional ploys (killing David Marcus and blowing up the Enterprise) spoil it. The only real bright spot, Christopher Lloyd as a Klingon! 9. Star Trek Nemesis: Oh dear, this was an awful film. It was a poor rehashing of Star Trek II (Which I am worried the new film will be as well) and it weakened the Romulans. 10. Star Trek the Motion Picture–This actually is tied with Nemesis. It is put at 10 only because of the vanity upon vanities of beauty shots of the Enterprise floating in the cloud thingy. Never mind that this is essentially a stolen story from the original series. 11. 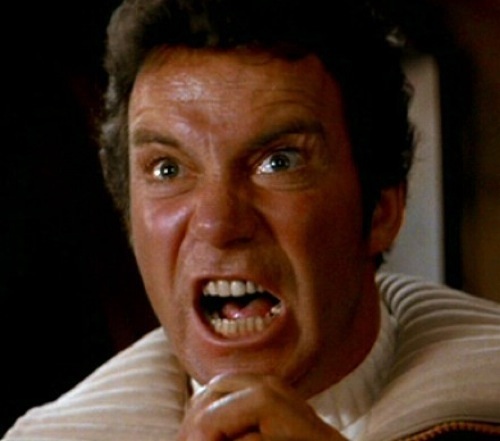 Star Trek V: The Final Frontier–Awful awful awful awful. The worst not only of the original six, but the worst of the entire franchise. The only positive aspect at all of the movie is the emotional energy of the individual ‘pain’ of the triumvirate. terday I blogged (READ IT HERE) about the new Star Trek movie, Star Trek Into Darkness. Today, though, I am ruminating about the other films in the franchise and where I rank them in order of excellence.